Simon Camacho was exiled to the United States from Cuba in 1961. Following his exile, he opened a cigar factory in Miami, Florida where he called home. This is where the distinguished Camacho brand began. The brand soon gained a prominent reputation with aficionados within the States as well as outside of the US including the British Prime Minister Winston Churchill. Cigar production during this period reached 2 to 3 million cigars per year and continued to grow through the 1990's. In 1995, the Eiroa family acquired the Camacho brand, five years after the death of its original founder. This change in ownership transferred the company's tobacco production from Nicaragua to Honduras where they are still made today. In the early 2000's, The Davidoff Group acquired the company which coincided with the release of the Corojo wrapper which was the final push to become a major player in the cigar industry. 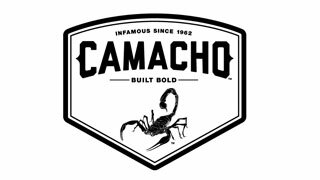 Top quality hand selected tobaccos and blends, unwavering attention to details and bold marketing campaigns have made the Camacho brand a real powerhouse in the cigar world. This brand complies with the practices held by Bayer CropScience, which ensures that they practice responsible management of natural resources, practices industrial safety, uses bio-friendly pesticides and biosecurity. Camacho Cigars takes many steps to achieve a higher level of social responsibility and is continually manufacturing the highest quality cigars in the world. this partnership is the first of its kind in the tobacco industry to comply with Good Manufacturing Practices and Good Agricultural Practices guidelines. The Triple Maduro received 95-rating inthe Cigar Journal Magazine 2012. The Room101 San Andres 213 scored 90-points in Cigar Aficionado Insider 2012. The Liberty 2012 scored 93-points on ACigarSmoker.com 2012. The Corojo Figurado scored an outstanding 94-rating in Cigar Aficionado Insider 2011. The Connecticut received a 90 rating Cigar Aficionado 2017. The American Barrel Aged received an 89 rating by Cigar Aficionado. A truly superb tasting and fully aged cigar, they have a distinctive flavor recognized by cigar aficionados around the world. Each cigar is entirely handmade from premium selected vintage tobaccos, giving them their truly distinctive and superb flavor. This tobacco is grown in a region where the perfect soil and ideal climate can be compared to Cuba's renowned Vuelta Abajo Region, to create a legendary smoothness, outstanding taste and one of a kind flavor. These cigars were given a high 94 rating in the Cigar Aficionado Insider in 2011. Full flavored cigars that boast a unique blend of five extra-fermented, all Maduro tobaccos, the first cigar of its kind. The biggest challenge with this blend was to get these thick, rich leaves to burn evenly and taste right together, a process that took dozens of times to perfect. The look, feel and undeniable richness of this cigar leaves anyone who smokes it totally enamored with the experience it provides. So, if you happen upon one of these cigars, please take your time to sit back and relax and know that this cigar was blended by one of the biggest fans of tobacco. The newest addition to the Bold Anytime Line of Cigars from Camacho, these are boxed pressed versions of the brand’s most popular cigars- the Connecticut, Corojo and Ecuador. The blends remain the same for each except for the addition of an even bolder American Pennsylvanian Broadleaf to the formula for an even more complex and rich flavor. The box pressing gives these full-bodied smokes an even burn and a cooler draw. There is nothing subtle about these smokes! EXPERIENCE THE POWERFUL FULL BODIED TASTE BY THE WORLD'S LEADING BRAND OF BOLD CIGARS!